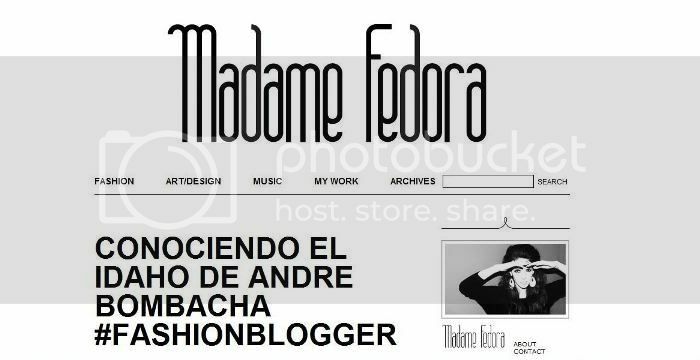 MY IDAHO CLOSET: Mi primera entrevista!/My first interview! Mi primera entrevista!/My first interview! Valerie Lollet, a girl who shares with me (and with a lot of girls out there) the same passion for fashion, asked me to do this interview for her, which i loved, it was my first interview because of the blog! Click HERE to check out the interview and while you're there check her blog as well! Valerie Lollet, una chica con el mismo amor por la moda que tengo yo y que tenemos muchas, me hizo una entrevista para su blog, así que hagan click AQUI entran en su página y así aprovechan y se dan una vuelta por su blog también que está lindo!